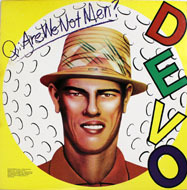 Devo was certainly the most interesting - and one of the most successful - of the acts to emerge from the new wave musical movement. 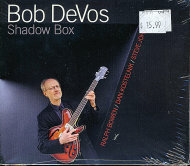 This show, recorded for the King Biscuit Flower Hour in 1981, features the band at the height of their popularity, when their videos were staple programming on MTV. The band was touring behind its fourth album, New Traditionalists, which actually was the beginning of their artistic decline. New Traditionalists only did well because it sold off the huge success of the hits "Whip It" and "Girl U Want," which had been on the band's previous LP, 1980's Freedom of Choice. This is not a complete show, since only nine songs appear; but what is here is pretty good. 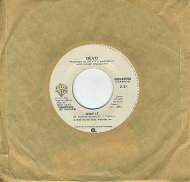 Some of the band's most popular songs are featured, including "Jerkin' Back N' Forth," "Girl U Want" and "Whip It," which receives a huge response from the crowd. 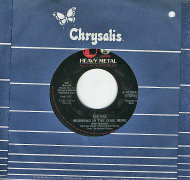 Their version of the Lee Dorsey R&B classic "Working In The Coal Mine" (written by New Orleans legend Allen Touissant) is quite amusing and somewhat catchy, despite its obvious novelty arrangement. 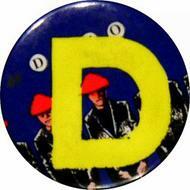 Devo was formed in 1972 by two Kent State college students, Jerry Casale and Mark Mothersbaugh. They had witnessed the infamous National Guard killings at the University, and from that experience they began toying with avant-garde music and lyrical themes. 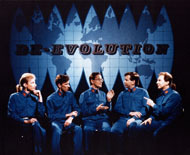 Along with former original member Bob Lewis, they devised a theory of de-evolution that suggested the concept of man actually devolving back to a vegetable state. 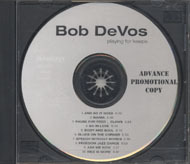 They spent several years honing their craft, and eventually formed Devo with brothers Bob Mothersbaugh and Bob Casale, both on guitar, and drummer Alan Meyers. They were one of the first non-prog bands to make synthesizers and visuals a central part of their core presentation. Mothersbaugh also introduced the concept of "mutant" musicians, and dressed the entire band in chemical protection suits and plastic flower pot hats. David Bowie and Iggy Pop were early fans who helped the band gain a contract with Warner Brothers Records. 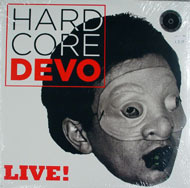 Their live show was filled with several geeky, robot-like contortions with the entire band playing in musical unison. 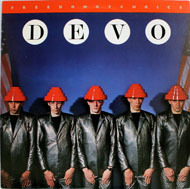 In the immediate years following this recording, Devo's popularity gradually began to decline, mainly because they had positioned themselves as a novelty act and the idea grew tiresome. After the band split in 1990, Mothersbaugh formed the highly successful "Mutato Muzik" company which wrote and recorded hundreds of successful TV and film soundtracks, including "Pee Wee's Playhouse" and "The Rugrats." 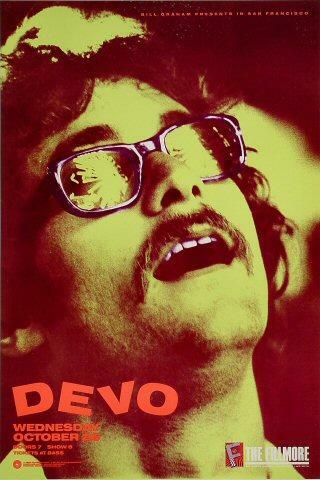 Mothersbaugh eventually hired each of his bandmates from Devo to become active writers and producers in his company. Jerry Casale has also gone on to be a successful music video director, developing videos for Foo Fighters and others. 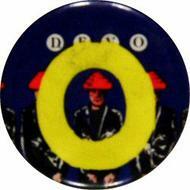 There have been a couple Devo reunions since 1990, including one stint on a Lollapalooza tour.